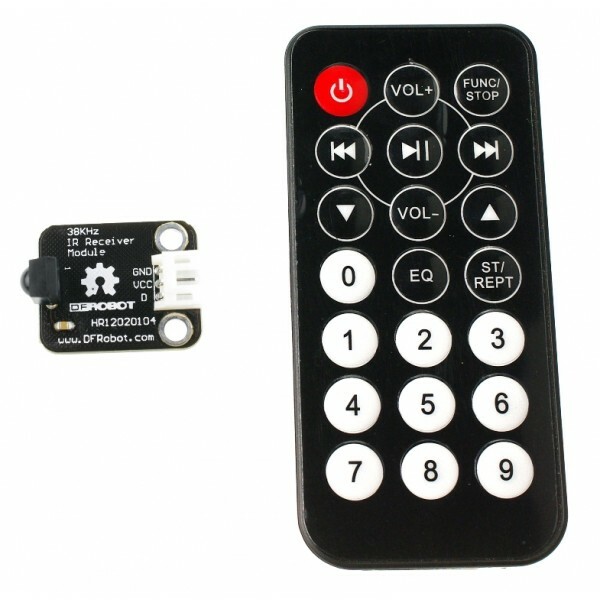 The IR Remote Control Kit allows you to control your robot from a distance using modulated IR Infrared light. This is the same method used to control common household devices such as TVs and DVD players. Comes with both an IR Receiver Module and a matching IR Remote Control. Connect the (VCC) and (GND) pins to a 5V power supply and the digital output (D) pin to an input on your robot’s controller.